How have the temperatures in your city changed over the years? How have the temperatures in your city changed over the years? 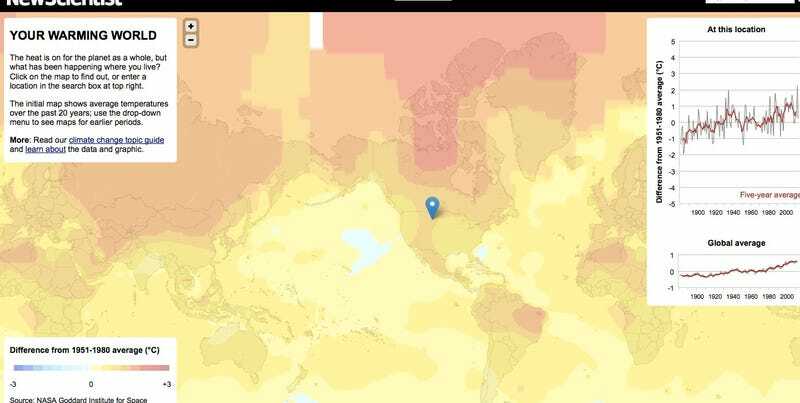 A new interactive map over at New Scientist called "Your Warming World" can tell you exactly how much, along with an accompanying graph, using data from NASA going all the way back to 1894.